You just can’t have your dress too tight and I will go into this in gory detail. Firstly the wedding dress you wear is the most important part of your wedding. If your dress is too tight you suddenly develop roles of fat which are pouring out from your underarms or the back. The waist looks like the fabric has stretched because it’s been taken in too much. Ok so there are some ways around this and you should ask your dressmaker or designer what you can do if you need the dress to be so tight your waist looks like your wearing a corset. But let me repeat myself there is nothing worse than a cheap looking wedding dress that has popped. Your a size bigger than your sister or your girlfriend and you just wanted to look smaller. We all know what it’s like but please for your own sake and the sake of your wedding do not make your dress so tight you need to squeeze into it. There is nothing worse at a wedding than the brides dress popping. It’s absolutely horrifying and the stuff of nightmares. I’ve actually seen this with my own eyes and it definitely wasn’t a dress that I made. Invisible zippers are known for popping on girls who are wearing dresses that are too tight. When I saw this happen it became a drama for half the night and the bride ended up being so rude to her sister even I was disgusted. Horrified even after bridezilla reared her ugly head. Poor uninformed size 22. I felt very sorry for her while her bridesmaids attempted to use giant safety pins to pin her together. Omg! What a scary terrible wedding. I was just a young waitress at the time but I really felt sorry for the girl. She just wanted to look smaller and it ruined her wedding. Imagine your walking around casually and then your dress pops. There is no going back. Once your dress has popped your wedding goes down hill. You have to change into your honey moon clothes if you have them with you. Brides worst nightmare walking around casually in her Bahama thongs, casual jeans and tshirt she wears on weekends while her size 8 bridesmaids are swanning around in gorgeous little cocktail dresses. At least pack some back up clothes please and not the variety you find in supre or just jeans. This is especially so with Fashion Designers. I am going to upload quite a few images from my portfolio and I would ask that if these images are copied that people can at-least draw their own versions! 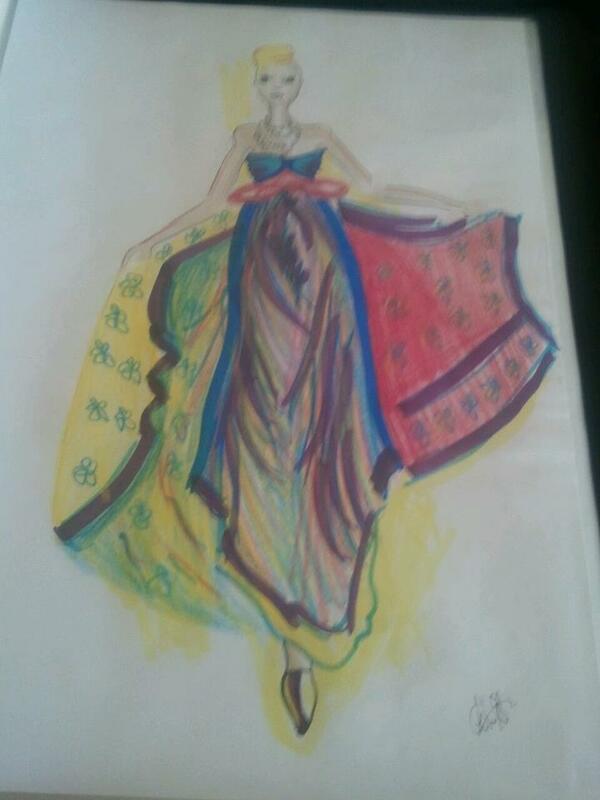 Fashion illustration has been a hobby of mine since I was a small child. In high school when I was selected to study at White house for a short course scholarship in illustration was really when I started to understand the form and shapes involved but it was not until I was studying my Diploma in Fashion Design and we had a more intensive course in illustration did I start to think more about shading and using copic markers. Rendering without drawing black lines everywhere. As it can be so tempting to do at times.lol.I have drawn some really bad illustrations and I am definitely still learning. I am still young and would call myself a beginner in the field of illustration however with this skill if you learn it well you can conquer the world finding a place in the hearts of many. 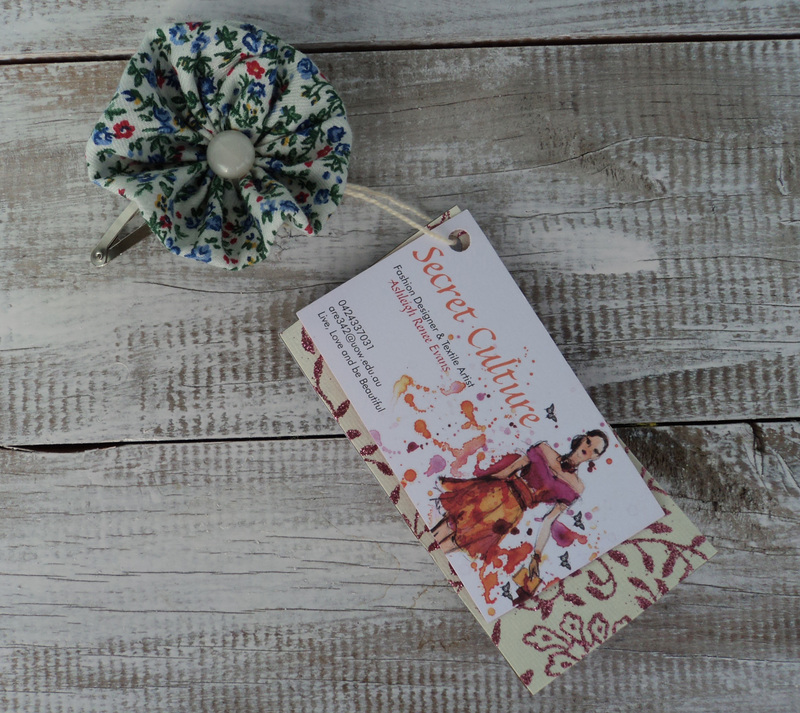 I would like you to link my Blog to your Facebook page if you do;).Or even if you don’t think about sharing it with other fashion entrepreneurs. 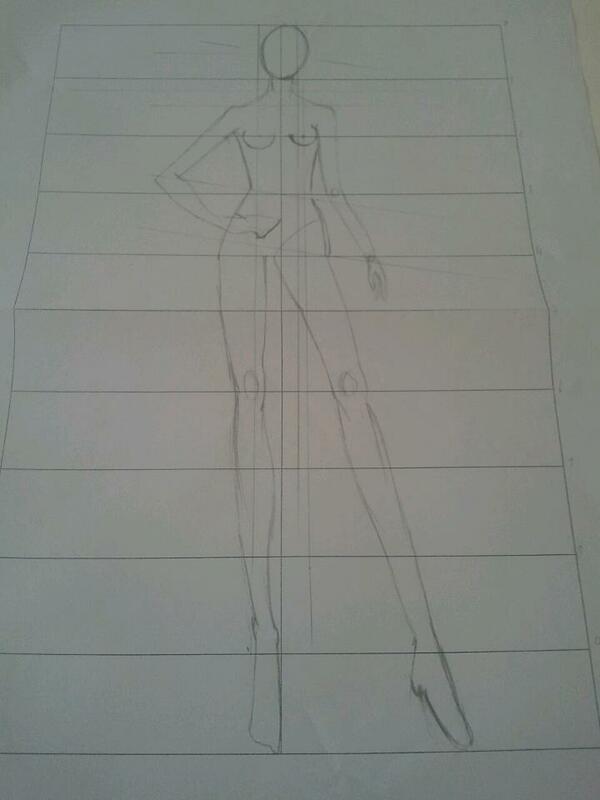 So firstly you start with drawing the croquis which is a shell of the body without any rendering. Rendering is how you fill the image e.g. 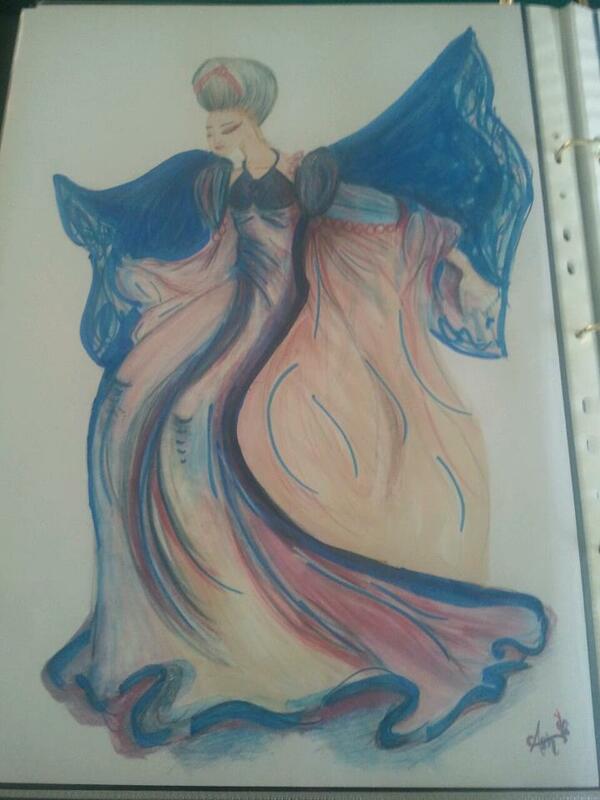 lead pencil rendering, ink, copic marker, water colours, chalk, paint. 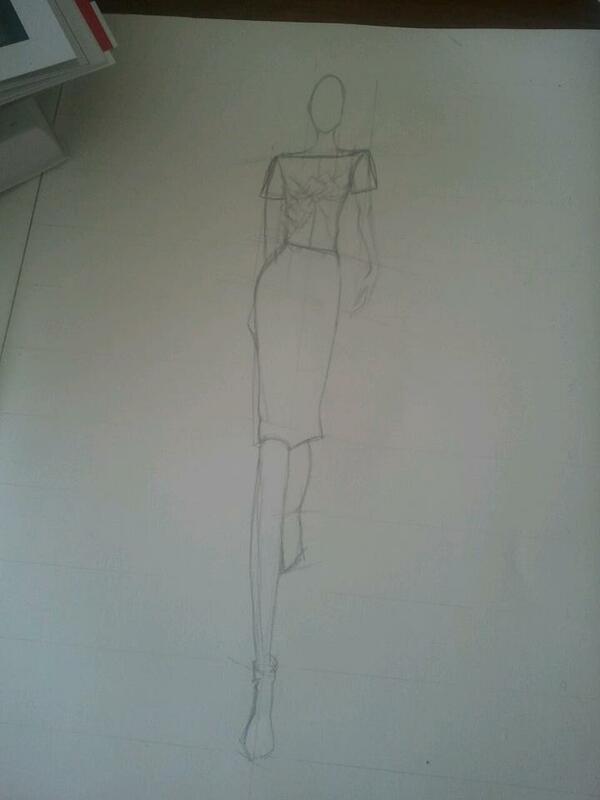 So this croquis will show you the basic silhouette of the form your wishing to drape your design onto. All illustrators would have atleast 20 or more of these basic shapes or as they design would think of a body type and position for which they would like their design displayed and draw this basic croquis that they can draw onto. What this means is that if you draw half the image and screw up majorly with a basic slip of the brush or pen you can simply retrace the image off this croquis and make any adaptations you would like. You can also keep the image in a basic A3 folder for when you may like to practise another image your designing and so on. 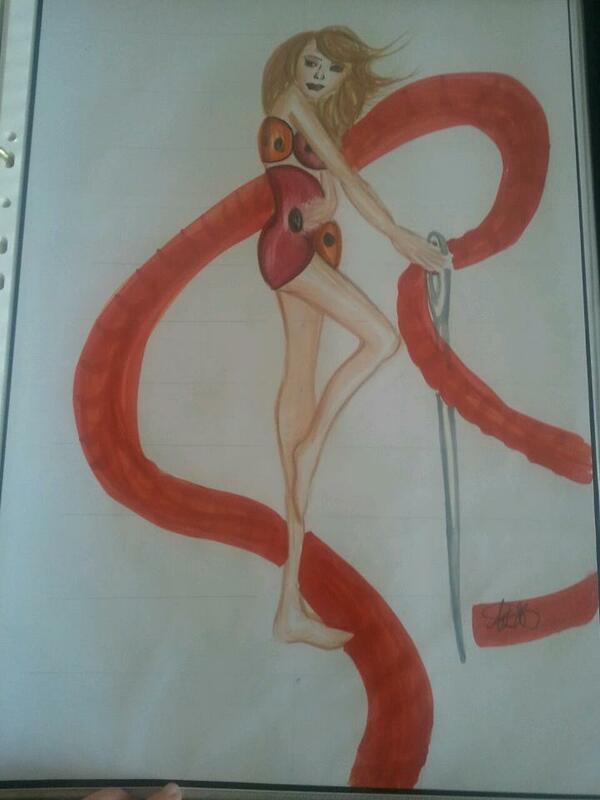 This perfection in illustration is the ability to draw between a scale of 1-9 or 1-10 if you count the feet of a body. Scale your page from 1-10 using your chosen width that you calculated earlier.Then write the numbers down the side 1-10 so that you know which is which. Draw a center line lightly so that you can cut the body in two sides. 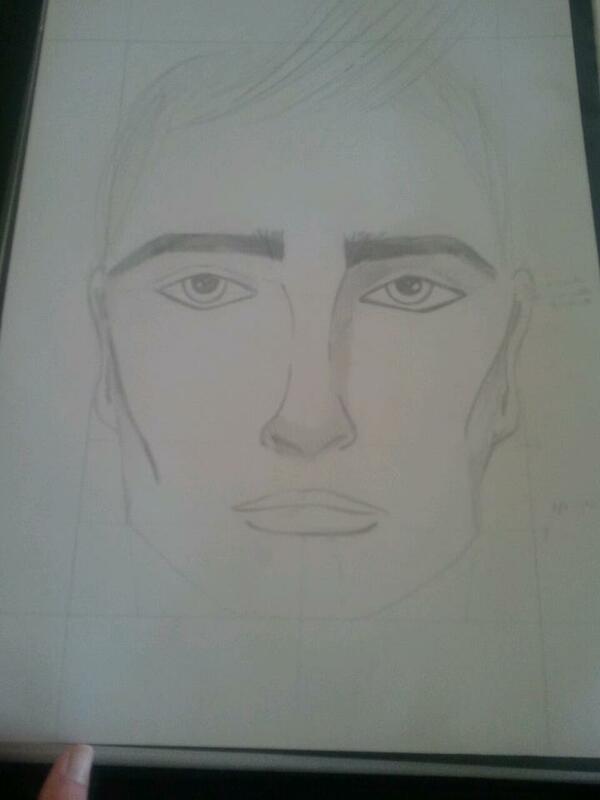 The head is the most important beginning of drawing your croquis. This is because the width and height of your head define the width of certain parts of your body.Draw an egg shaped head between 0-1 and make sure it is centred appropriately. between 1-2 you will be drawing your shoulders which should be the value of 1 and a half heads either side of centre front and also half way between 1 and 2 unless you are drawing a shape that is standing in a different pose.Shoulders meet the neck at 1.5 heads down.Chest is at 2. 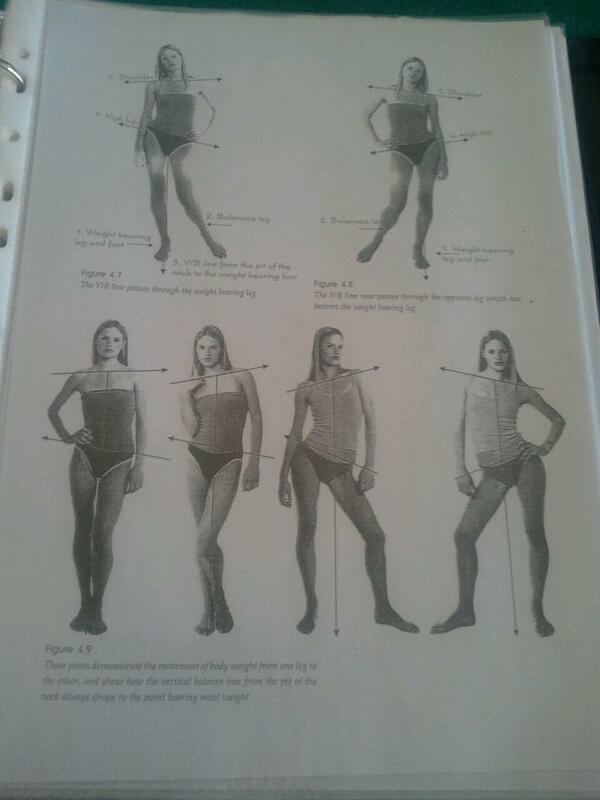 Waits and elbows should be on 3 and the waist should have 3/4 heads width.Hips and wrists on 4.The crutch is at 4 1/4. Hands reach 5. Knees 6. widest part of calf is at 7 1/4 – 7 1/2. 9 is the beginning of the feet. 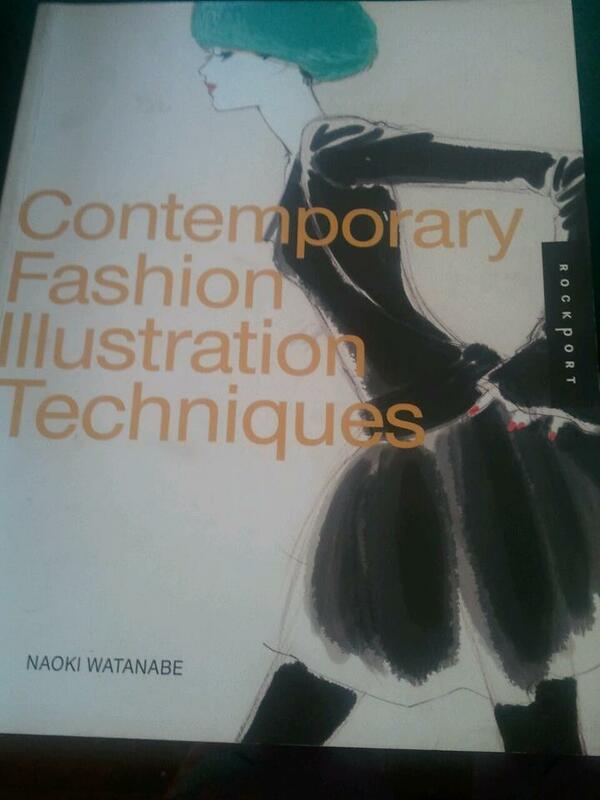 There are many books that have been written on fashion illustration however it is up to you on which ones you empathise with and can really gain something out of. For up and coming designers Naoki Watanabe is fabulous to start with. For the more experienced that would like to brush up their own techniques “Colours For Modern Fashion-Drawing Fashion With Coloured Markers” Nancy Riegelman is probably the best reference around atm. The book depository sells these for fantastic prices and if you are looking for bargains Ebay can be fabulous when trying to buy these very in demand Illustration guides. The body leans in many different ways depending on how you are standing. Just remember that the centre of your body is defined by the hollow at the base of your neck down. No matter what stance you have this will display the central most part of your body.Also when drawing different poses it is easy to draw guidelines of the direction you want your shoulders waist and hips. Even drawing little circles for wrists, shoulders, ankles and knees will help in drawing the croquis that you are after. A good designer can look at a magazine and see an image or a pose of a girl and then draw that image in the proportions of a fashion illustration equally splitting the points of the body into the perfect mean. As no human is actually perfect sometimes it can be hard to split the body into perfection without losing certain likenesses. 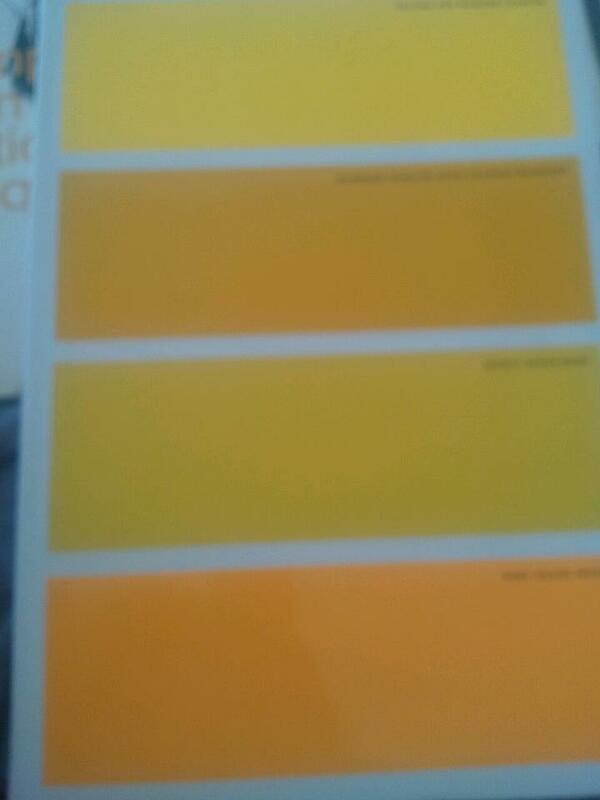 Although with practise this will become very easy. After you redraw the shape of the person into the prefect croquis for your design you then draw your design onto the form making sure you take into account the shape of the body and how parts will be different shapes. E.g the calf muscles being bigger at the top below the knee then smaller towards the bottom. The arms will be bigger nearer the shoulder than the wrist. Some basic tools you might want to invest in. 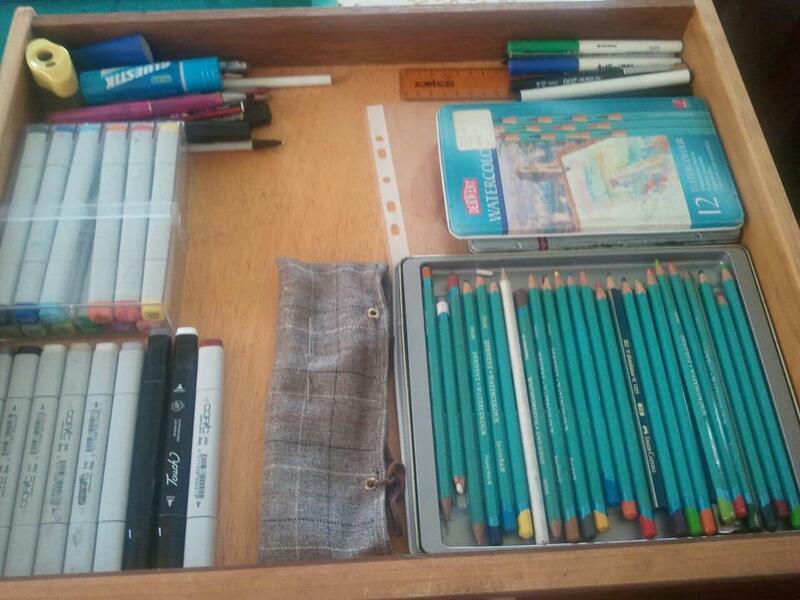 Here is a photograph of my copic markers and water colours that I use for basic rendering of illustrations. Next rendering the illustration: You can do this using basic techniques of pencil and copic markers and it will look fabulous after you have practised and sorted out the best way for you to render your image. You can also use black ink or any other material that you think may suit the way you would like to display your image.This illustration was a buttons collection that I designed a swimwear range based on. Hence I have tried to bring in some elements from that idea like the needle and thread. These are some Illustrations I completed whilst practising for my course last year.I am not especially happy with the lines in either but this is the sort of thing we are aiming for when rendering. The more you practise the better it will get. Especially when using copic markers. The more you draw the more you want to make your facial illustrations look beautiful. You can do this by practising on a larger scale. Split an A3 page into 1 head length and then draw 2/3rds of that length as the width. Draw a big egg head shape and then split it further into half both ways length and width. 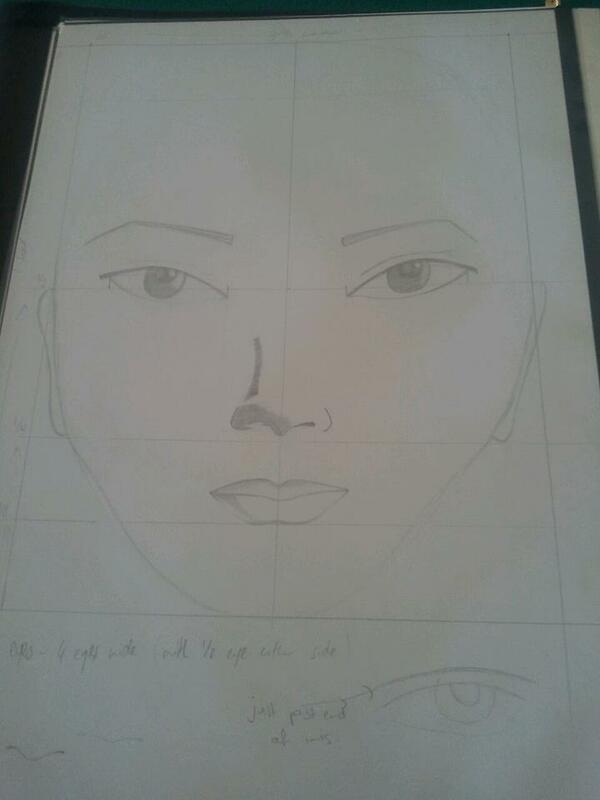 then 1/2 of 1/2 and 1/2 of 1/4 this will mean that you will have the basic lines in place to draw your face. Your eyes are half way nose is just before 1/4 and your lips just above the 1/8 line. Your eyes are half of half the width of the head and this width is also the separation between the eyes. 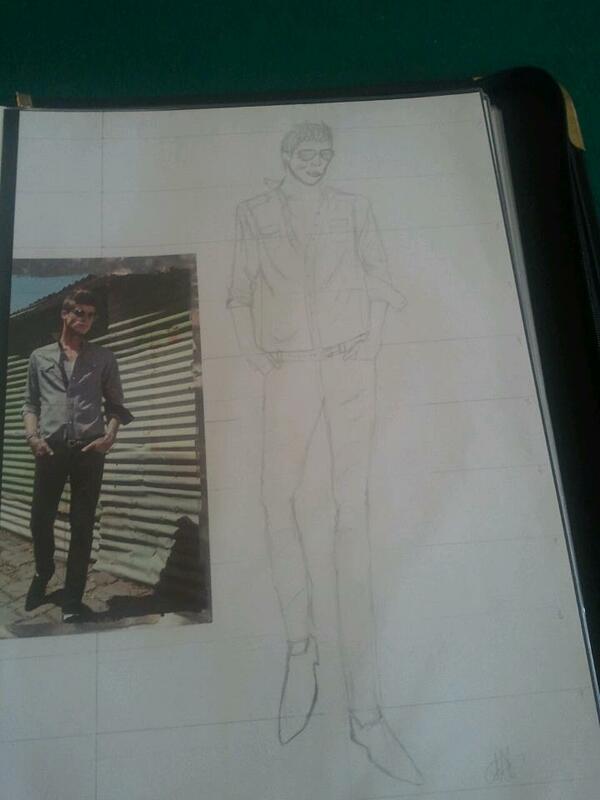 Men have squarish features usually in fashion illustration. The illusion of having more angular features is very attractive and so that is why they are dran like this. They also have larger foreheads and more angular jaw structures.Thinner lips and chunkier eyebrows. Also with drawing men’s croqui’s you do not tighten the waist of a man as they are all muscle. Drawing a waist will actually make the illustration look like a manly woman.It’s more like broad shoulders and tiny hips making the man look more masculine rather than effeminate. 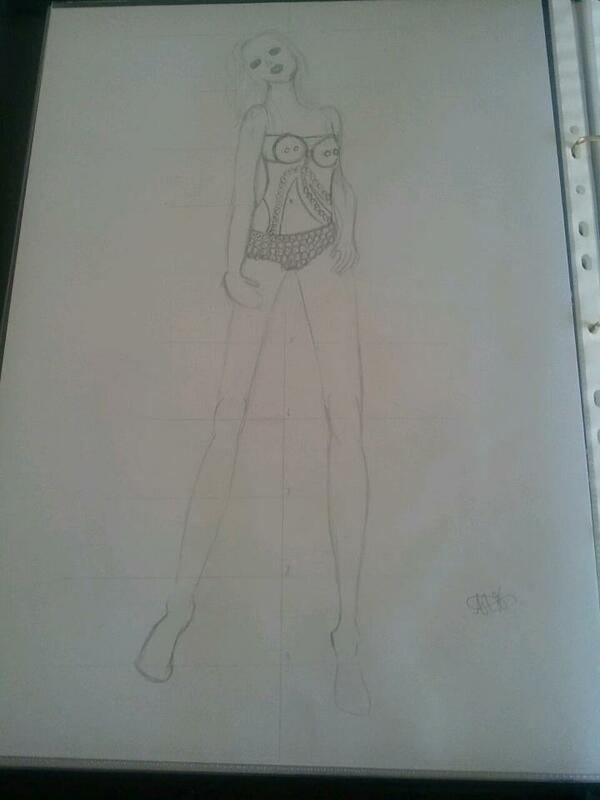 That is the main change between drawing fashions for males and females in illustration. I generally draw all my collections onto basic croquis when I am designing because I find them efficient in deciding what looks good and what looks bad on a form. You can then draw the illustration from this image.Here is one I have been preparing for my current Autumn/ Winter Collection 2012. 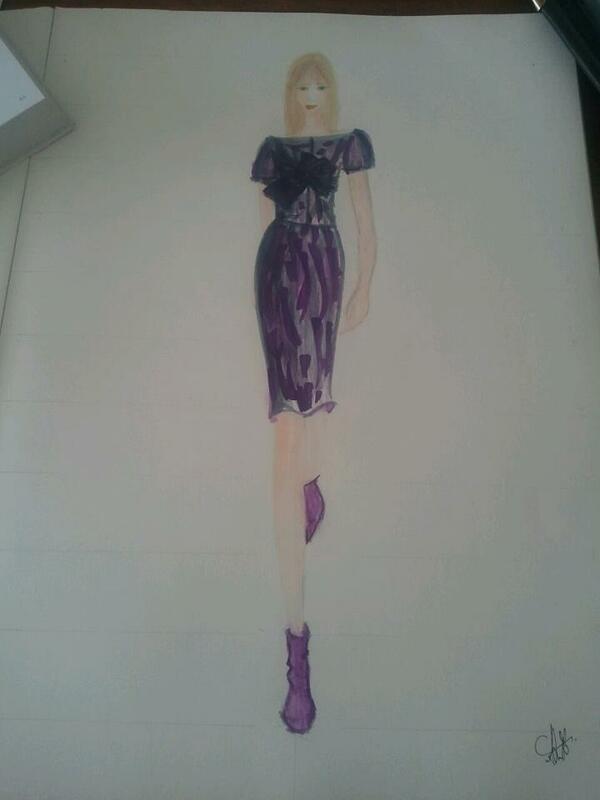 This is my croquis for my Japanese Bow Boat Neck dress before rendering. After Rendering with Copic Marker and Water colour pencils you have something beautiful that you can use in any format to display to customers or buying teams when you have meetings with potential customers. 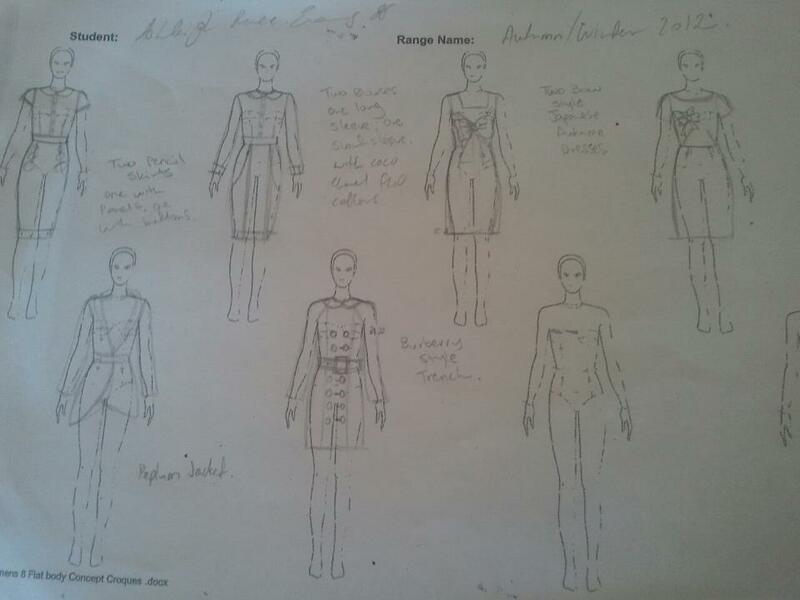 Of course this is the fun side of Fashion Design because there is a lot more work in actually making the collection. 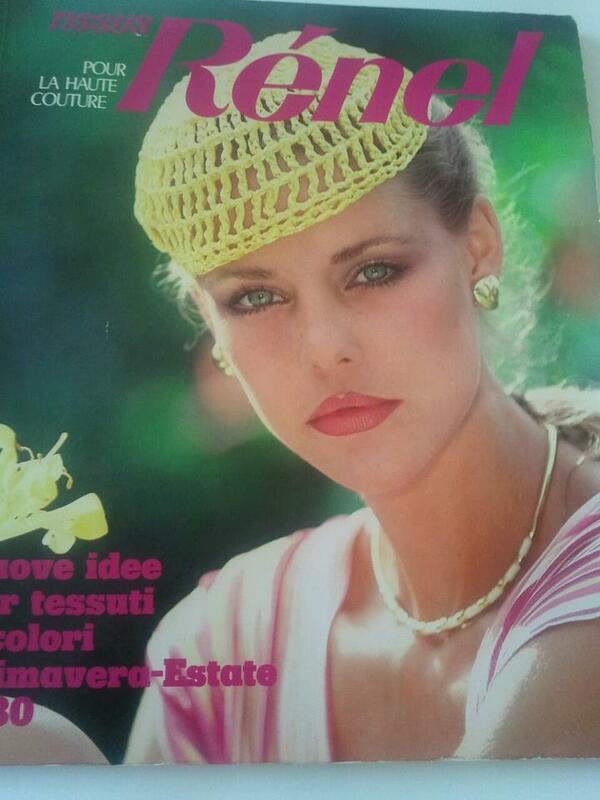 Especially pattern making and toiling. Then you might even want to make your whole collection yourself which is a massive undertaking. 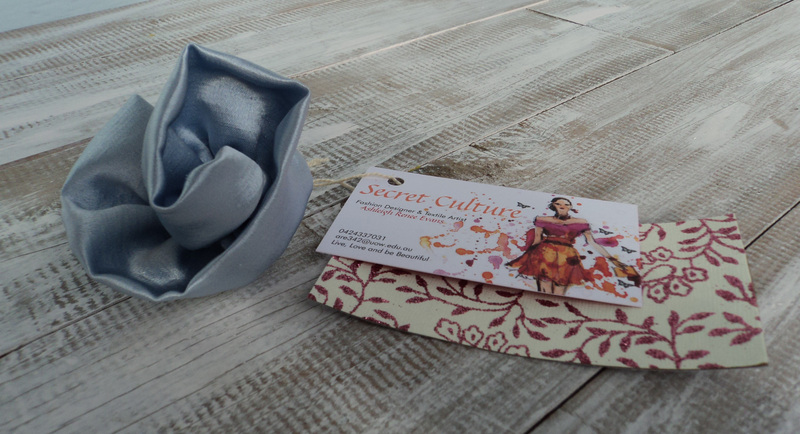 Welcome To The Secret Garden!!! 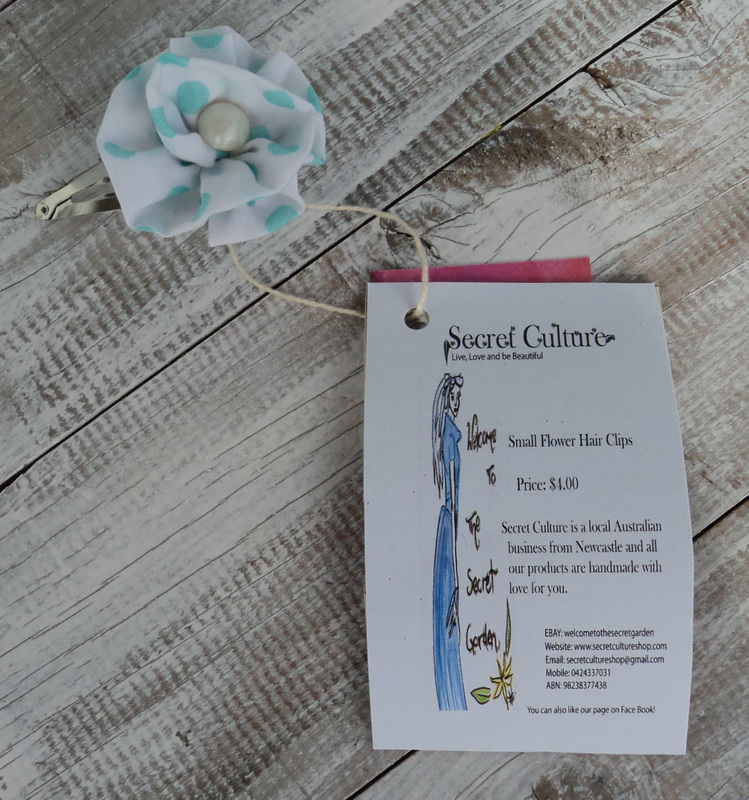 Small Alice Blue Hair Clip!!!! 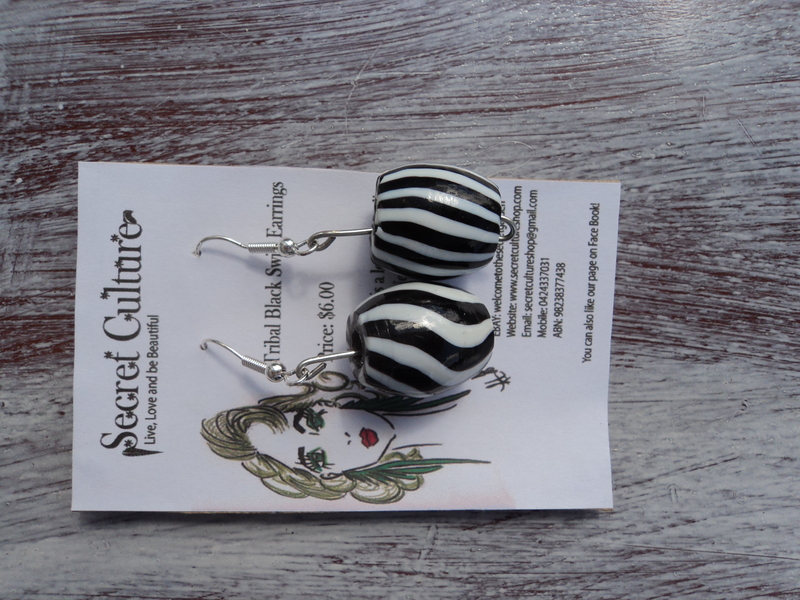 I have two current collections of One-Off Pieces at the moment. 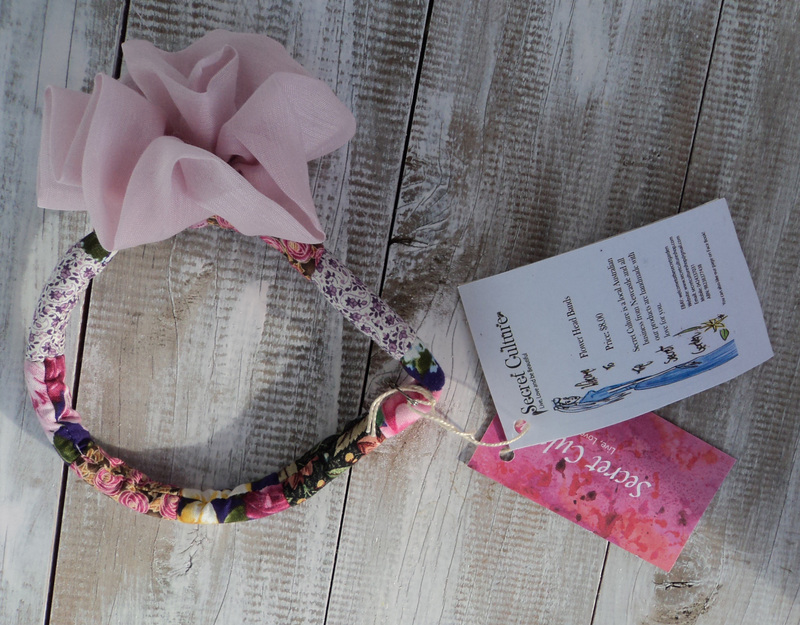 My ‘Welcome To The Secret Garden’ Hair Clip and Head band range and my ‘Kashmiri and glass’ Earring and Necklace collection. Please feel free to check them out now in the Buy section of this website!!!! Here is a sneak peek of what you may find!!!! 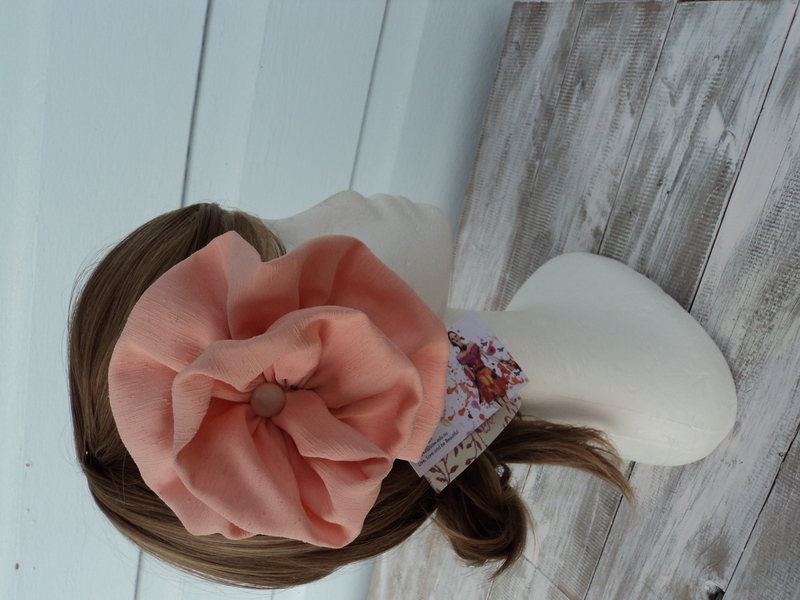 Headbands available for just $8.00 + postage!!!! 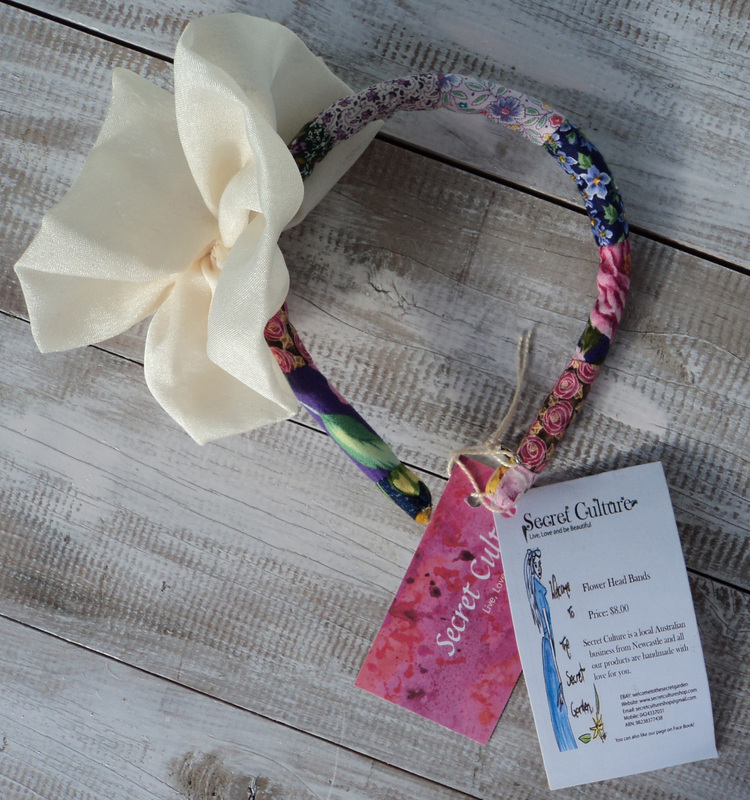 Welcome To The Secret Garden Headband Collection Lavender & Cream!!! 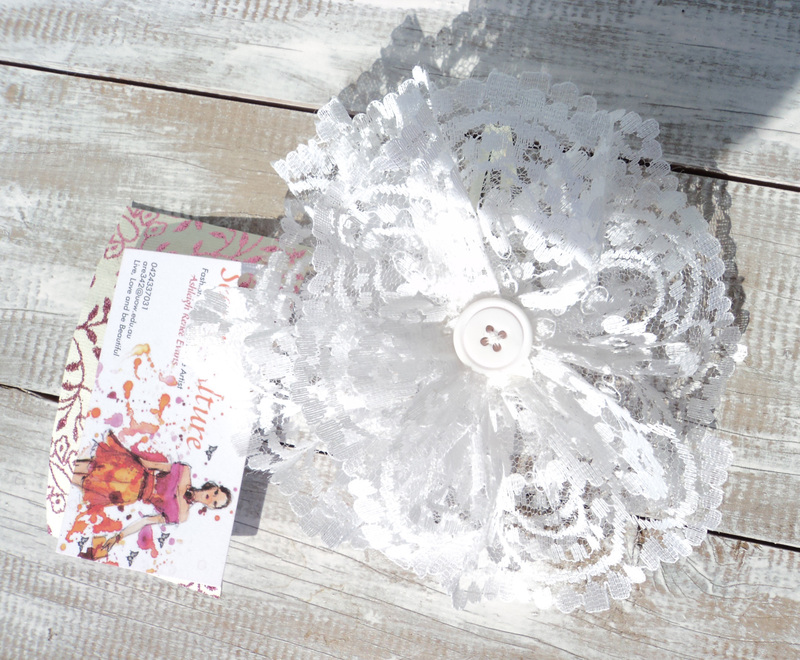 White Lace Large Hair Clip!! 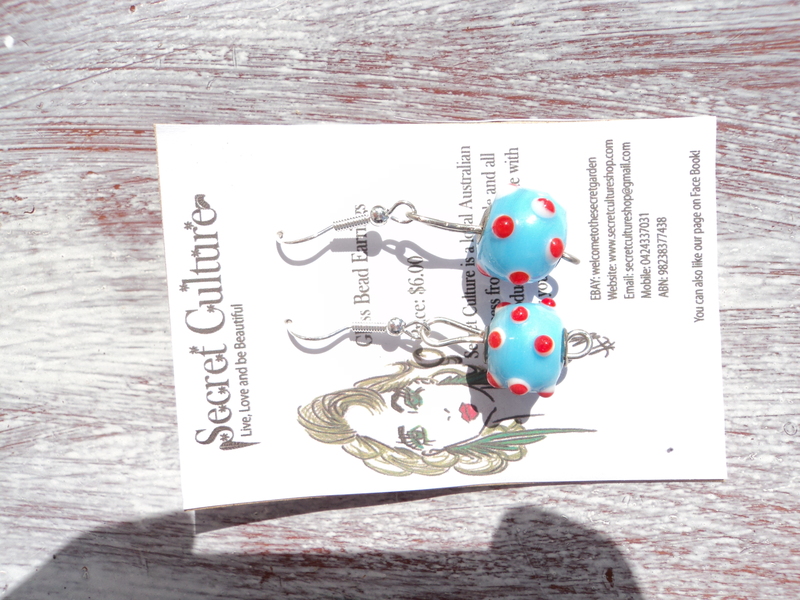 Small Cyan Spot Hair Clip!!! Ball Ball Crazy Blue Earrings!! 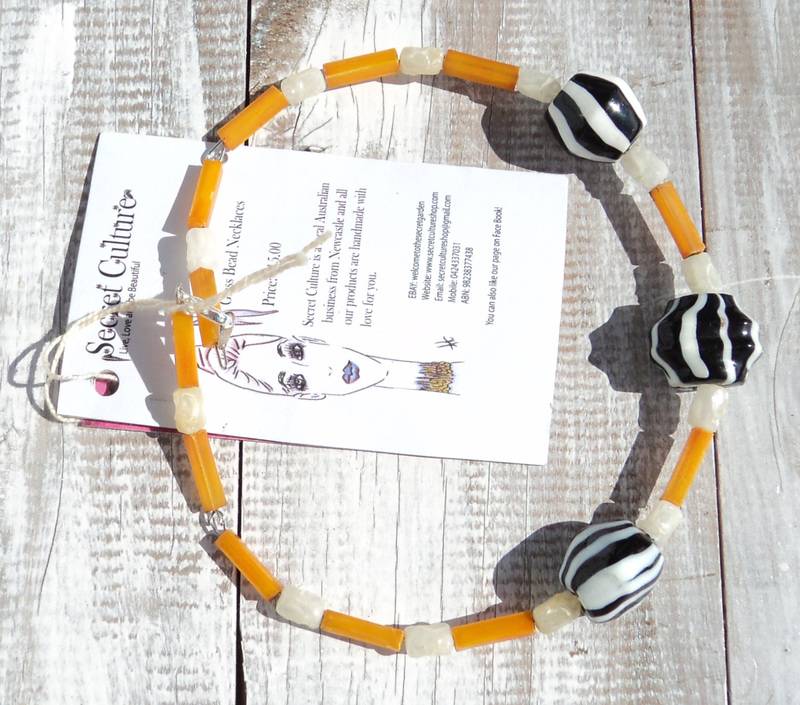 Tribal Black Swirl Necklace! !Ball Ball Crazy Necklace!! This picture was taken on the rustic steps of the Newcastle Townhall (Australia). 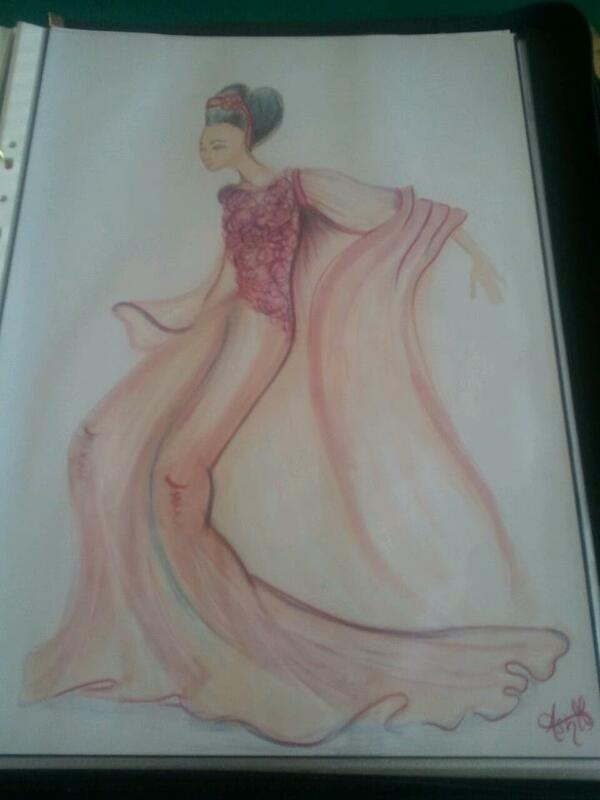 My Arabian design for 2010!